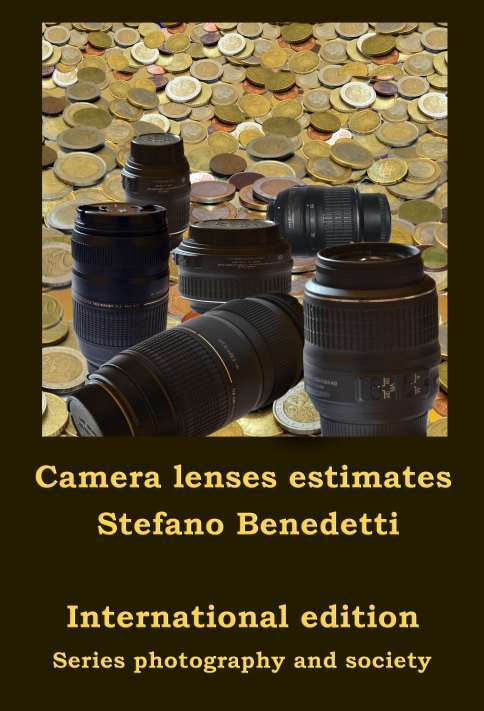 Over 1900 estimates of camera lenses products from 124 brands. The book has been doing research estimates in Italy, Europe and America. The evaluation has provided a range between a minimum and a maximum. The book, along with Cameras estimates 1900-2000, is a good reference point for the antiques market and that of the use of the photographic material. Collectors and sellers can in this way from a real value for the subsequent evaluation or negotiation. The book also shows the significance of the abbreviations used by producers and photographers.